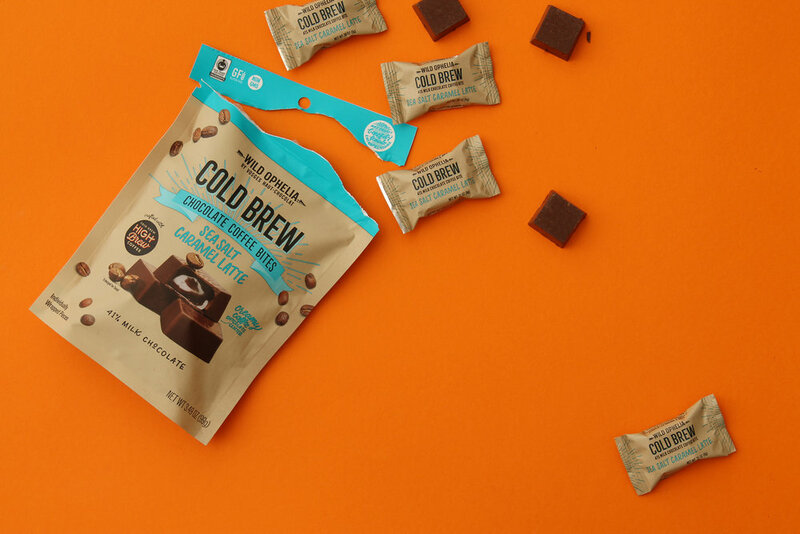 Crafted with Black & Bold High Brew Coffee cold brew and fudgy chocolate inside, encased in a 70% dark chocolate shell. Crafted with Salted Caramel High Brew Coffee cold brew, and fudgy chocolate inside, encased in a 41% milk chocolate shell topped with sea salt. Crafted with Mexican Vanilla High Brew Coffee cold brew, and fudgy chocolate inside, encased in a 70% dark chocolate shell. Crafted with Black & Bold High Brew Coffee cold brew, and fudgy chocolate inside, encased in a white chocolate shell.